Xanax is a prescription medication used for treating anxiety and panic disorders. It’s often referred to as “the ultimate chill pill” for its ability to promote an overwhelming sense of calmness. Some reports suggest that Xanax is the third most prescribed medication in America and is estimated to be one of the top twenty prescription medications sold on the black market. In small doses and temporary use, Xanax is extremely effective for managing anxiety and panic disorders — however, when misused, this drug can become addictive and dangerous. Long-term Xanax abuse can lead to blackouts, severe anxiety symptoms, debilitating insomnia, night terrors, and suicidal urges. Some Xanax addicts report lapses in memory — often spanning years at a time. Heath Ledger, Whitney Houston, and Michael Jackson were all found to have Xanax in their systems at their time of death. Rapper Lil Peep overdosed on Xanax laced with fentanyl in late 2017. Here, we’ll discuss Xanax addiction, the dangers of overdose, and what to do if you or someone you love is addicted to Xanax or other benzodiazepines. Xanax is a brand name drug for alprazolam — a powerful anti-anxiety and tranquilizer. Alprazolam is prescribed by doctors in the United States for panic disorders and anxiety symptoms. Some doctors will prescribe it for treating insomnia when alternatives fail to produce results or severe chemotherapy-induced nausea. This anxiety medication is listed as a schedule IV medication and a common drug of abuse in the United States . The drug works by inhibiting brain activity through the neurotransmitter GABA — which is responsible for relaxing the mind and reversing the effects of stress and stimulation in the brain. Xanax is classified as a benzodiazepine — a powerful class of anti-anxiety drugs including other members such as Valium and Klonopin. Benzodiazepines or “benzos” as they’re referred to commonly, are a large class of drugs used as tranquilizers and anti-anxiety medications. They enhance the GABA’s ability to bind to its receptors . GABA is responsible for slowing down activity in the brain — it’s used to reverse the stress response and helps us fall asleep at the end of the day. GABA serves as the brake pedal for the brain — it’s responsible for slowing neurological activity down when it’s hyperactive. Anxiety and various forms of insomnia are directly related to hyperactive brain activity. Benzodiazepines stop this hyperactivity, slowing down the brain, and inhibiting any feelings of anxiety or stress — temporarily at least. 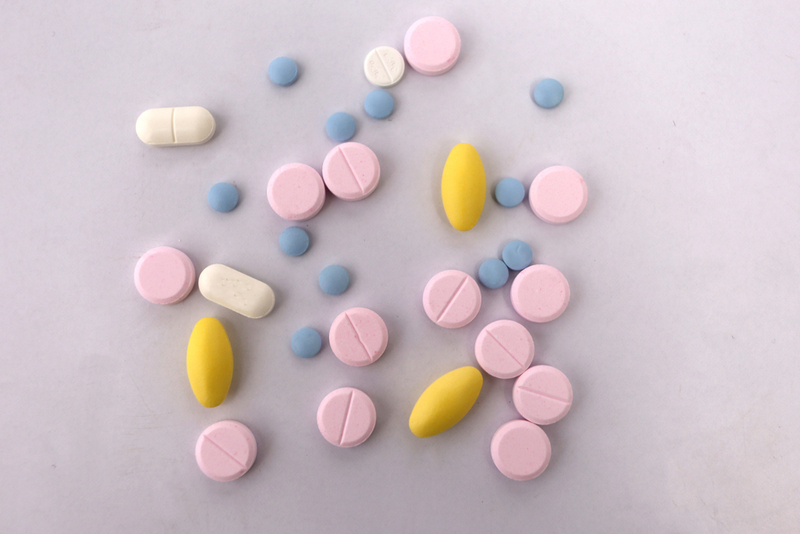 All benzodiazepines develop dependency with long-term use, and many will cause rebound anxiety when trying to discontinue use of the drug later on. How Does Xanax Compare to Other Benzodiazepines? There are many different types of benzodiazepines available—most of which are very similar in effects. What makes them different is in how long they last, how strong they are, and how long it takes to start producing effects (onset). Xanax is fast acting and lasts around two hours, while other versions, like Valium last 4-6 hours. Xanax was originally manufactured and sold under the pharmaceutical company Upjohn in 1981 . Upjohn then became part of the pharmaceutical giant, Pfizer Pharmaceuticals. Drug patents allowed the company to sell the drug without any competition for about 20 years. Once the patents expired, other companies stepped in to produce their own generic versions of the active constituent in Xanax — alprazolam. Both the generic versions of the drug and the brand name Xanax produce the same effects. In order of other pharmaceutical companies to make generic versions of the drug, it has to be made with exact the same doses. They’re also subject to the same manufacturing quality testing regulations. With so many consequences of taking Xanax, why do so many people choose to take the drug? This is the most common way people get started on Xanax. Short term and severe episodes of anxiety, panic disorders, or insomnia are treated with Xanax by medical professionals. 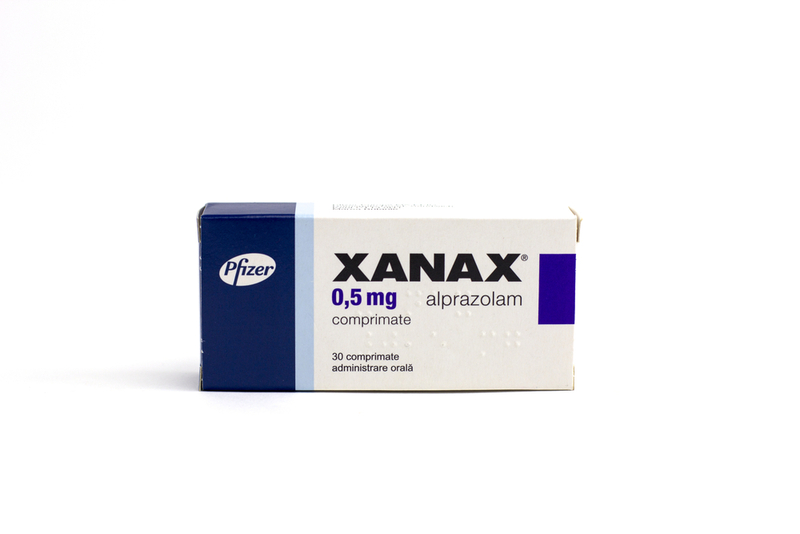 Pop culture often references Xanax use — especially in UK hip hop and the emo subculture of hip hop emerging from Soundcloud rap. Lil Pump, for example, once celebrated 1 million Instagram followers with a Xanax-shaped cake. Plenty of other celebrities glamorize Xanax, calling it “xans,” or “zannies” in their music. This lead to a lot of fans believing Xanax is an acceptable form of recreational drug use. Xanax is, in truth, a terrible recreational drug — it’s expensive and produces a very minor high, especially compared to other popular recreational drugs. Nevertheless, recreational use of the drug is rampant and one of the main causes for Xanax addiction in America. 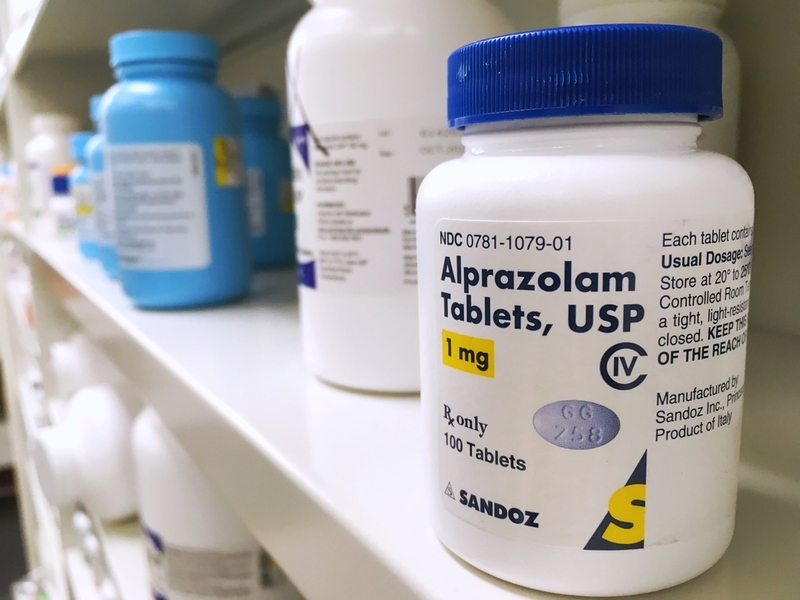 People report taking Xanax and generic versions of alprazolam along with other recreational drugs such as LSD or magic mushrooms to alleviate the side-effects of “bad trips,” often induced by anxiety. Xanax is also taken during the comedown off stimulant drugs such as cocaine, methamphetamine, or MDMA to alleviate the side-effects of agitation or insomnia. Some people are mixing Xanax with opiate and other depressant medications to enhance their effects. Substances like heroin, alcohol, and marijuana are all commonly mixed with Xanax and Alprazolam to enhance the high they produce. Mixing drugs in this way is the most dangerous way of taking Xanax — the drug isn’t overly toxic on its own but can easily result in adverse side-effects of overdose when combined with other medications — especially depressants such as opiates or alcohol. Many Xanax users report it as being the “ultimate chill pill”. It’s similar to the effects of alcohol but without the intoxication. It’s also a lot more sedating than alcohol, making you want to just sit down and relax — and maybe even take a nap. Compared to other drugs, Xanax has a very “clean” feeling. However, these effects are only true in the early days of Xanax use. As dependency forms, these positive effects are overshadowed by the consequences of addiction and withdrawal. Eventually, Xanax no longer provides the same desirable effects — instead it simply makes you feel closer to normal again. When the drug isn’t taken, withdrawal causes disabling anxiety episodes and intense cravings for the drug. The effects the drug once offered are reversed — leading to one of the worst comedowns possible. People who take Xanax recreationally and don’t experience anxiety will eventually develop anxiety if they continue the habit. Perhaps the most concerning effect of Xanax has to do with memory. People often report total lapses in their memory while the drug was in effect. Some people have even been convicted of crimes committed on Xanax — yet have no memory of the event ever occurring. In the most basic sense, Xanax works by “shutting off” brain activity. All benzodiazepines, including Xanax, work by activating special receptors in the brain known as GABA receptors. GABAa is responsible for slowing or stopping the electrical impulses sent down the nerve fibers. Every thought we make starts as an electrical impulse somewhere in the brain. By blocking these electrical signals, Xanax is able to quiet the brain. We think fewer thoughts. This brings the benefit of halting hyperactive thoughts involved with panic attacks or anxiety. Xanax addiction generally begins quietly. People suffering from anxiety disorders as a result of a trauma, loss of a friend or family member or other sources of stress are often treated with Xanax or other benzodiazepines. After a few weeks on the drug, users should be weaned off to prevent dependency and addiction — however, this often isn’t the case. Over the course of several weeks of Xanax use, tolerance forms against the drug. This means that the body takes measures to resist the effects of the drug, prompting ever increasing doses to achieve the same level of effect. If Xanax use continues, it then begins to form dependence in the body — this is the next stage up from tolerance. The body now relies on having the drug in the system. If there isn’t enough Xanax in the body, withdrawal symptoms emerge— some of which can be debilitating. As Xanax is cleared from the body, the brain loses its ability to relax overstimulation on its own, leading to anxiety, insomnia, and agitation — all of which Xanax was initially used to treat. As dependency worsens, these symptoms become more severe over time. Users take the medication to keep withdrawal symptoms at bay. It can be incredibly hard to stop taking the drug at this point. This is what leads to Xanax abuse for most people. They take the drug to treat symptoms of anxiety or insomnia, become dependant on the drug, and then need to take Xanax just to keep withdrawal symptoms at bay. As soon as they stop taking the drug, they’re hit with overwhelming feelings of anxiety and neurological agitation. Withdrawal symptoms on Xanax and similar benzodiazepines are reported to be some of the worst forms of withdrawal. In fact, there are reliably only two types of withdrawal that can be fatal — benzodiazepines and alcohol. People going through Xanax withdrawal are often described as “completely maddening”, going through fits of psychosis,extreme debilitating anxiety, headaches, and muscle tremors. Even after withdrawal has finally come to an end, ex-Xanax users often report rebound anxiety for months or years after the Xanax has been detoxed. The highly addictive nature of Xanax and debilitating side-effects have created a healthy black market for the drug. The cost of a generic Xanax on the street can be as high as $100 — despite only costing about $0.03 to manufacture. This is also partly to blame for the large number of robberies of pharmacies across the country. As a Xanax addiction intensifies, people will often try to get larger prescriptions from their doctor. Some doctors will oblige, but most will do the opposite in an attempt to fight the dependency of the drug by limiting the daily prescribed dose — sometimes to just one pill per day. Since Xanax only lasts about two hours per day, addicts become desperate for more of the drug and will source it from the street instead. 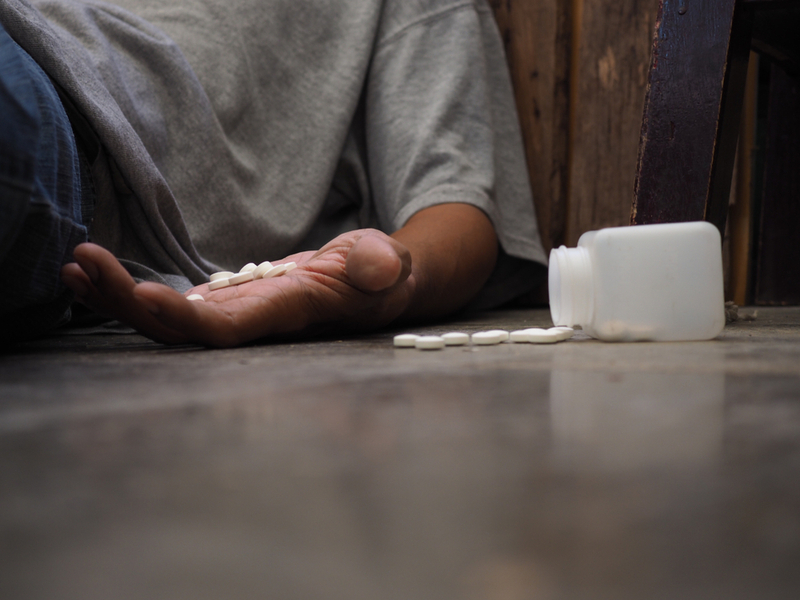 The high cost of the medication on the street has lead many users to take the drug in more efficient and damaging ways — like snorting or injecting. Injecting Xanax will work, and only a fraction of the oral dose is needed to achieve the desired effects through injection. The problem is that this causes serious damage to the blood vessels, and over time leads to the death and decay of local muscle groups (rhabdomyolysis). Similar issues are reported from snorting the drug — causing significant damage to microcapillaries in the nasal cavity. 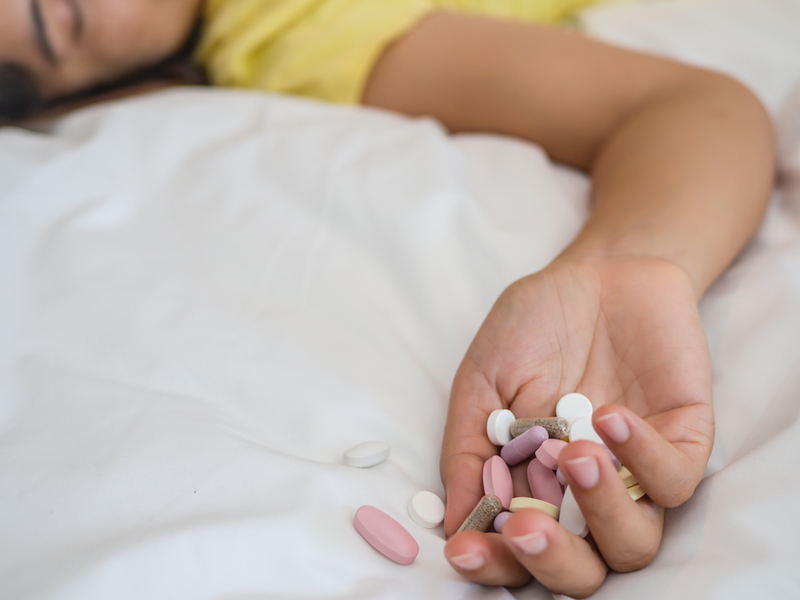 Xanax and other benzodiazepines have a low-risk of causing overdose on their own — however, when mixed with other drugs such as alcohol or opiates, the combination can be deadly. This is because of something called potentiation — a process where two separate drugs work through the same pathway, causing stronger effects together than each in isolation. Although Xanax overdose is unlikely on its own, it’s not impossible. The effects of a Xanax overdose is difficult to identify because it closely resembles the regular effects it produces. The most common signs of Xanax overdose is sedation, headaches, and difficulty communicating — all of which are also normal side-effects of the drug. Most times, when someone takes too much Xanax they will fall asleep. When they wake up several hours later, they often have no recollection of any memories from the entire day before. Xanax addiction is treatable. For the best outcome, it’s recommended that people addicted to Xanax seek treatment as early as possible. The first step in treating a Xanax addiction is to detox the drug. This involves weaning off the drug over the course of a few days, weeks, or even months depending on the severity of the addiction. While this is happening, the lower dose of the drug will produce withdrawal symptoms and cravings for more of the drug. It’s important that the weaning process is followed through despite these cravings. There are some herbs and nutritional supplements (more on this below) that can go a long way in optimizing the process by cutting cravings while the body adapts to the lower dose of the drug. For severe Xanax addictions, the detox process can be fatal if it’s not done correctly. In these cases, the care and attention of a medical professional are necessary to ensure the process goes as smoothly as possible. Professionals can monitor the process and provide life-saving medications as needed. They also have medications used to alleviate the most debilitating side-effects withdrawal to make the process as comfortable as possible. 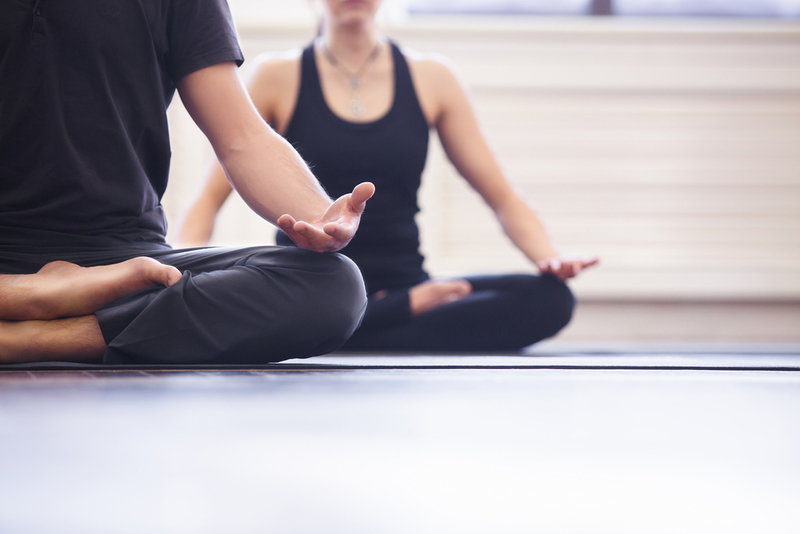 Once Xanax is detoxed from the body, people often choose to go to a rehabilitation center. These places are the gold standard for drug addictions, including Xanax and benzodiazepines. Rehab centers help users replace habits around their drug use, and give them the tools to stay sober in the face of cravings. Rehab programs also guide addicts through the early stages of “going clean” — which can be very difficult for people relying on the drug to manage symptoms of stress, anxiety, and insomnia. For more minor Xanax addiction, there are a number of herbs and supplements that can be used to alleviate symptoms while going through the process of weaning off the drugs. These herbs are effective because many of them use the same mechanisms as the drugs to produce a similar but significantly milder effect. Xanax addiction and abuse isn’t often discussed, yet is a major problem in the United States. Addiction to the drug often begins quietly after a prescription from a doctor or for recreational use. As the body becomes dependent on the drug — as is the case with all benzodiazepines — the motivation for taking the drug changes. Eventually, the body is unable to regulate stress and anxiety on its own. It needs the drug to offset the effects of stress and anxiety. This leads people to take the drug on a regular basis to avoid symptoms of withdrawal. With the right help, Xanax addiction is highly treatable. It’s recommended that Xanax addiction is treated as soon as possible to reduce the severity of withdrawal and to avoid long-term symptoms of rebound anxiety and insomnia. Lacy, C. F., Armstrong, L. L., Goldman, M. P., & Lance, L. L. (2008). Drug information handbook: a comprehensive resource for all clinicians and healthcare professionals. Lexi-Comp Inc, Ohio. Shader, R. I., & Greenblatt, D. J. (1993). Use of benzodiazepines in anxiety disorders. New England Journal of Medicine, 328(19), 1398-1405. Evans, R. L., & Cardoni, A. A. (1981). Alprazolam (Xanax®, the Upjohn Company). Drug intelligence & clinical pharmacy, 15(9), 633-638. Ait-Daoud, N., Hamby, A. S., Sharma, S., & Blevins, D. (2018). A Review of Alprazolam Use, Misuse, and Withdrawal. Journal of addiction medicine, 12(1), 4. Kilic, C., Curran, H. V., Noshirvani, H., Marks, I. M., & BA, M. (1999). Long-term effects of alprazolam on memory: a 3· 5 year follow-up of agoraphobia/panic patients. Psychological medicine, 29(1), 225-231.